Exceptional 2 bedroom CONCRETE condo unit, quietly nestled at the top of the Bow River escarpment that overlooks the River Valley & Downtown skyline. The floor plan has undergone a beautiful renovation opening up the kitchen and living room to create an open-concept layout. French doors have been added to one of the bedrooms to maximize the East to West light flow making for a very bright & cheery space. The new kitchen features crisp white cabinetry, tiled backsplash & a sunny breakfast nook. Two oversized bedrooms: 14'x11' & 14'x9'. This unit comes complete with new windows & patio doors, in-suite laundry & common coin laundry ($1/load), Hunter Douglas custom blinds, balcony, parking, secure storage locker & LOW CONDO FEES that include heat & cable. Quiet building, high owner occupancy with little turnover. 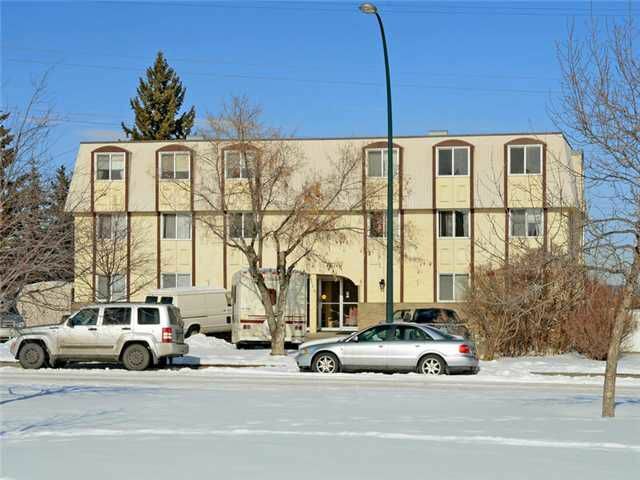 Very well maintained building with active & conscientious condo board. Walk to New West LRT, 5 min to downtown, close to schools & shopping. Priced to sell, call today!